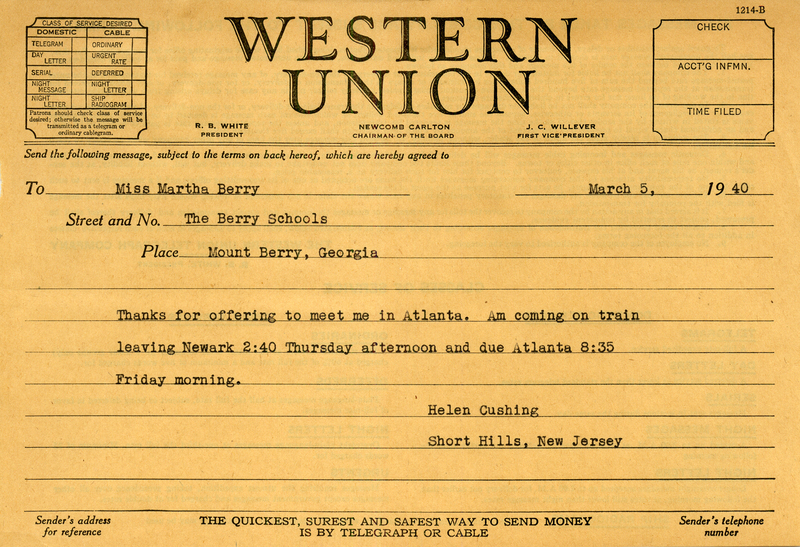 In this telegram Helen Cushing tells Martha Berry that she will be arriving in Atlanta at 8:35 Friday morning on a train leaving from Newark. 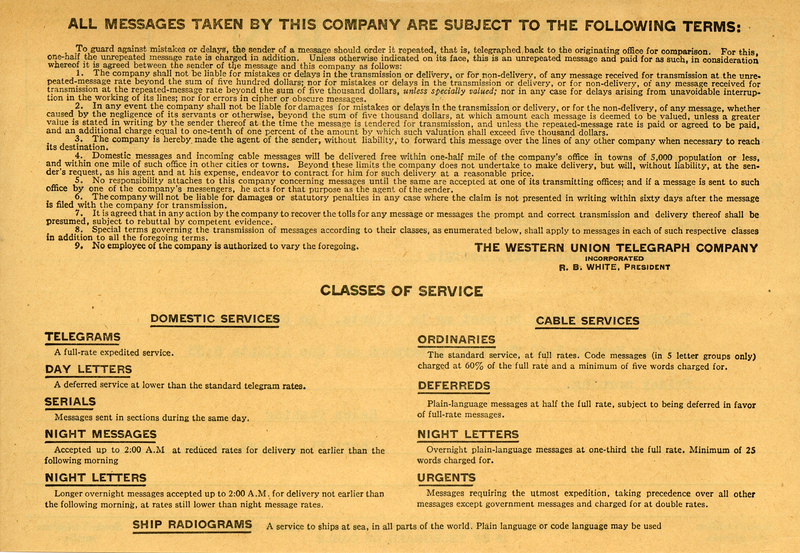 Helen Cushing, “Telegram to Martha Berry from Helen Cushing.” Martha Berry Digital Archive. Eds. Schlitz, Stephanie A., Jordan Brannen, Jessica Hornbuckle, et al. Mount Berry: Berry College, 2016. accessed April 24, 2019, https://mbda.berry.edu/items/show/15430.